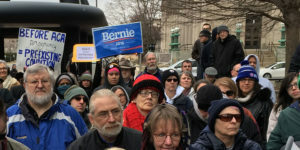 The Iowa Democratic Party organized rallies in four of the state’s cities Sunday afternoon. The events were billed as a “first stand” against GOP efforts to repeal the Affordable Care Act. Matt Tapscott of Decorah runs a child care business and Tapscott said he hadn’t been able to afford insurance until the law. 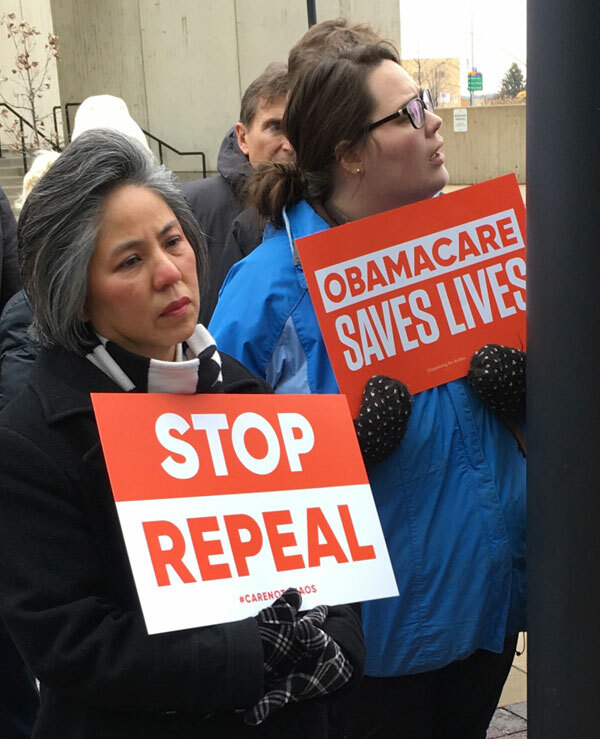 “My elected representative said we’re working to ensure that you have access to health care,” Tapscott said during a rally in Des Moines. “It makes no difference that we have access if I can’t afford what I have access to. 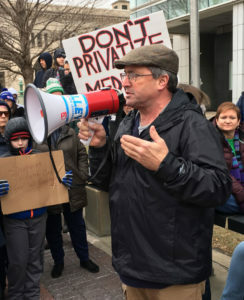 Protestors at Des Moines rally. 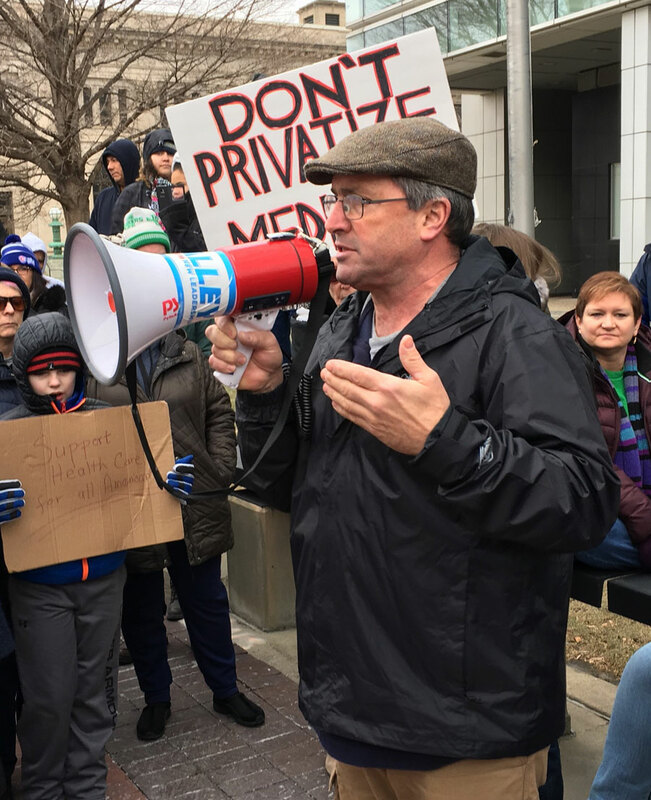 Rick Smith of Urbandale said the law hasn’t just helped people with pre-existing conditions, it bans insurance companies from setting a yearly limit on spending on covered benefits. “We’ve got to remind all of our friends…that everybody has benefitted from this and will continue to benefit,” he said. 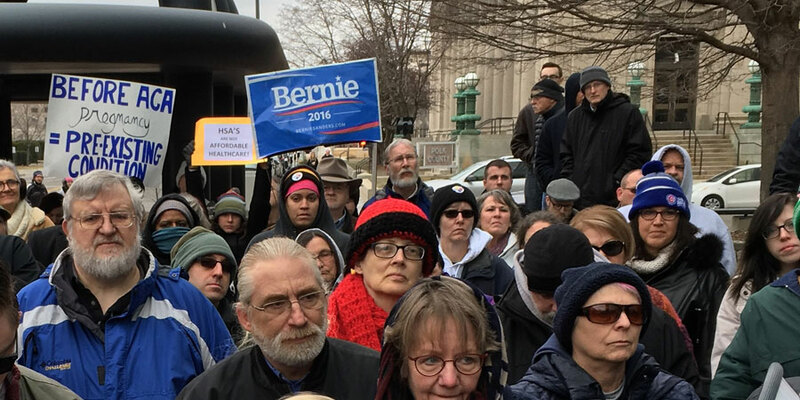 Rallies were held in Cedar Rapids, Council Bluffs, Des Moines and Sioux City. Both of Iowa’s Republican U.S. Senators and the three Republicans who serve in the U.S. House voted last week on legislation to start the process of repealing the health care law.